Caesium is a free image compressor that can reduce the size of pictures up to 90% without losing from the original quality. Preserving the original file format. No additional software required for opening compressed files. Compression without visual quality loss. 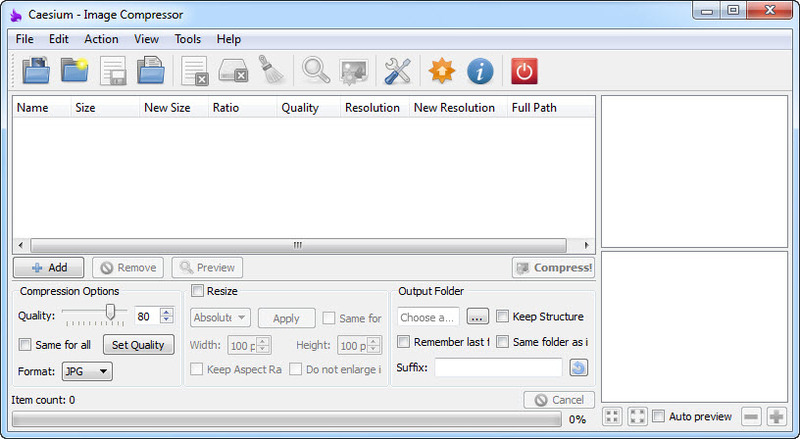 Set compression level with a simple slider. Set different compression levels to each image. Side by side preview, with original and compressed pictures.